Reservering beursgadget “e-brace” – laatste kans! Eurocircuits werkt mee aan het seminar: wat kan er virtueel in de elektronica productieketen! e-brace – bijna allemaal toegewezen. Het is nog niet te laat maar wees snel! Bijna alle e-brace gadgets zijn toegewezen. Wees er snel bij indien u er nog geen heeft besteld. Als Eurocircuits relatie kan via deze link registreren en verzekert u zich van uw gratis toegangsbewijs en het gadget, e-brace. Maak uw print volledig virtueel in de Eurocircuits cloud! Dit seminarie vindt plaats, donderdagochtend 4 juni in de Marijkezaal. Meer details hier. Bezoek ons gratis in Utrecht dmv een ticket via deze link en verzeker u van uw eerste SEMI-FLEX print, de e-brace. https://www.eurocircuits.com/wp-content/uploads/blog/reservering-beursgadget-e-brace-laatste-kans/menus.jpg 299 550 eC Admin http://www.eurocircuits.com/wp-content/uploads/2016/07/eurocircuits.png eC Admin2015-04-30 07:20:372018-05-14 16:59:42Reservering beursgadget “e-brace” – laatste kans! SEMI-FLEX pool offers cost-effective 4 layer, flex-to-install PCBs. Instead of two PCBs joined by connectors or cables, design a single SEMI-FLEX PCB and bend the flexible section at installation. 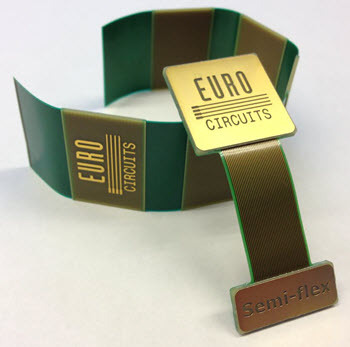 Eurocircuits’ 4-layer SEMI-FLEX PCBs use a 100 micron FR4 core with two specially treated copper layers, designed for bending during assembly but not for dynamic flexing. You get lower product costs (no connectors, no cables, less assembly time, no expensive polyimides), faster assembly and increased product reliability. Samples and technical specs will be available on Eurocircuits stand #45 -46. The service will be available on the Eurocircuits website mauro.villa@eurocircuits.com oppure ai numeri di telefono www.eurocircuits.com with full technical back-up from 7 May. A new service aimed at engineers who want a fast proof-of-concept board that they can modify on the bench with wire-links or cut tracks. NAKED proto boards are supplied with no soldermask and no silkscreen on deliveries from 1 day and at half the cost of our well-established PCB proto service for fully finished boards. Students and hobbyists can also benefit from the low prices and short deliveries from a reliable European supplier. Prices will be available at TEC – and on the website from 7 May. Hard-pressed designers don’t have the time to understand every aspect of PCB fabrication that affects the cost and delivery of their PCB. 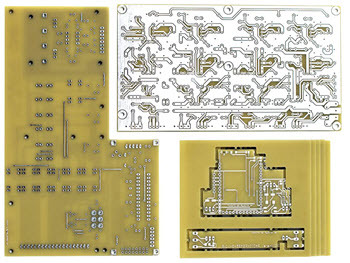 Our online DRC and DFM tools give you practical access to our PCB knowledge from the very start of the design process. Smart menus validate your design parameters and guide you towards the most cost-effective choice. 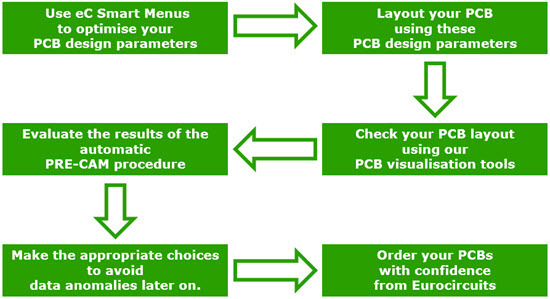 Our PCB Visualizer range of tools check your data before you place your order. That way you are sure that there are no data issues which will delay delivery. Our forthcoming PRE-CAM software will show you exactly how we will make your board, so that you can approve everything before we start production. Dirk Stans, Eurocircuits’ Sales Director, will present a seminar on how to use these tools to optimise your PCB design process and get your design to market on time and on budget. And he will be on Eurocircuits stand # 45 – 46 all day to demonstrate the tools. For a long time our customers asked us for cost-effective precision assembly and test equipment suitable for prototype PCBs. 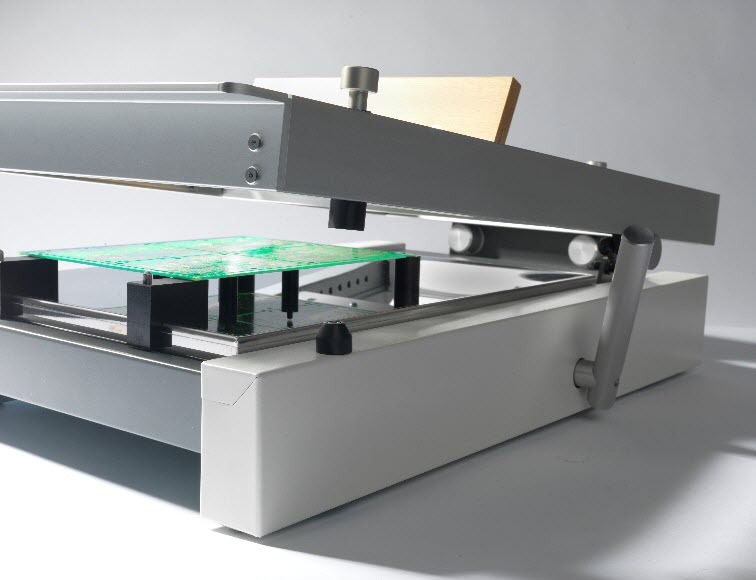 In response, we developed the eC-stencil-mate solder-paste printer, the eC-reflow-mate reflow oven and the eC-test-mate for functional testing without expensive test-fixtures. In June we will fill a gap in the range with the launch of the eC-placer, a precision guided manual assembly table, using either camera or copy-paste technology for high-accuracy placement. Visit our stand for more on all our equipment. Visit our stand #45 – 46 at the Conference. You will need to register as a visitor beforehand. You can do that here. Please mention Eurocircuits while registering. For more information on any of the products email euro@eurocircuits.com. Grazie per l’interesse dimostrato sui nostri servizi e prodotti in occasione della visita al nostro stand presso l’edizione 2015 di Affidabilità & Tecnologie a Torino. Saremmo felici di poterla annoverare quanto prima tra i nostri clienti, le ricordiamo che per qualunque ulteriore informazione mi potra’ sempre contattare via mail a mauro.villa@eurocircuits.com oppure ai numeri di telefono +39 02 4945 5804 e +39 346 07 20 435. Se desidera essere ricontattato per una visita presso la vostra sede o per una demo dei nostri prodotti, la prego di rispondere a questa email, sara’ mia cura chiamarvi per concordare data e modalita”. 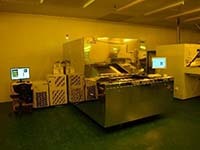 We now have more than 420 eC-stencil-mates and more than 450 eC-reflow-mates in use in the field. We have gathered together some comments from our users which we reproduce with their permission. Ateknea has 6 offices across the EU, specialising in R&D, Innovation Project Management and innovative engineering solutions. Our engineers have research experience across a wide range of technologies, delivering multi-disciplinary solutions to customers’ projects. We are specialists in innovation and need to get working prototypes to our customers fast. As we use advanced components reliability is paramount. eC-stencil-mates has greatly improved the quality and reliability of our prototype SMD assemblies. The pin-based registration system makes it fast and accurate to set up, ideal for assembling prototype PCBs with complex components. – Ateknea Solutions, Barcelona, Spain. “Anglian Electronics are specialists in the design and manufacture of embedded microcontroller-based products and contract electronic manufacturing from prototype design to complete product design and manufacture. – Anglian Electronics, Norwich, UK. “At embedded projects GmbH we are specialist developers of embedded Linux hardware and software solutions. Hardware products include our own range of embedded measurement and control systems as well as the GNUBLIN family of Linux-based development PCBs. We need to assemble prototype PCBs and small series, typically 20 – 30 pieces. We were using an assembly service, but decided to investigate the possibilities of doing the work in-house. 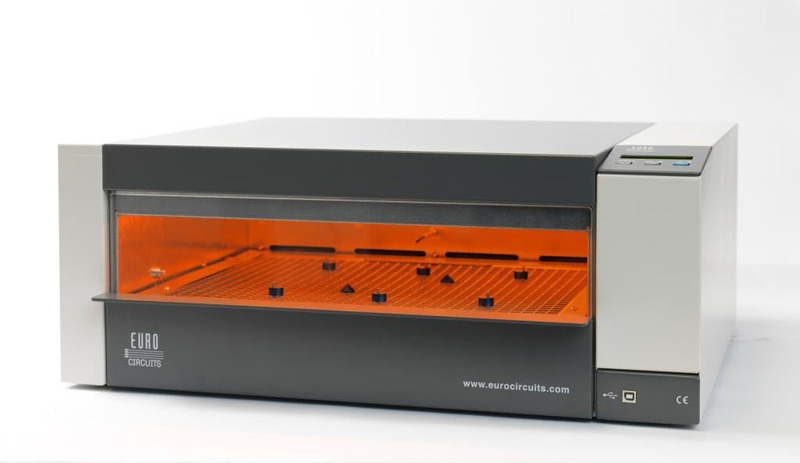 We surveyed the market for reflow ovens and selected the eC-reflow-mate. 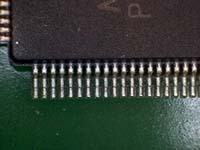 There were cheaper solutions but they did not appear trustworthy: they were poorly engineered and did not provide the overall control we needed for quality reflow soldering. More expensive solutions offered no better soldering performance than eC-reflow-mate. They added more automation to handle larger production volumes, but our requirements did not warrant the extra costs. It was very easy to get professional soldering results with little effort and training. eC-reflow-mate worked immediately from the beginning. Our investment has been paid back really quickly. When we used an assembly service for our prototypes, we had to place a minimum order for 5 – 6 PCBs, even if we only needed 1 – 2. Costs quickly escalated to around €1000. With eC-reflow-mate we can order the exact number of boards we need, usually just 1 – 2, and assemble them in-house. The total costs are now 25% of what we had to pay before. – embedded projects GmbH, Augsburg, Germany. “Visual Engineering are specialists in the design and manufacture of small and tightly integrated remote camera solutions for broadcast and professional security needs. Much of our work is customer-specific, so we need prototype and small batch PCBs fast. – Visual Engineering Technologies Ltd., Colchester, UK. – Experimental Officer, University of York, UK. “b-smart are hardware and software project development specialists. The accuracy and repeatability of eC-stencil-mate allow us to solder finer-pitch components. Previously we had to send these boards to an assembly house, adding additional time and cost to our projects. The biggest benefit that eC-reflow-mate has given us is a secure and stable soldering environment. Once we have set up the optimum soldering profile for a class of PCBs, it is easy and straightforward to select it again from the menu on the eC-reflow-pilot software. 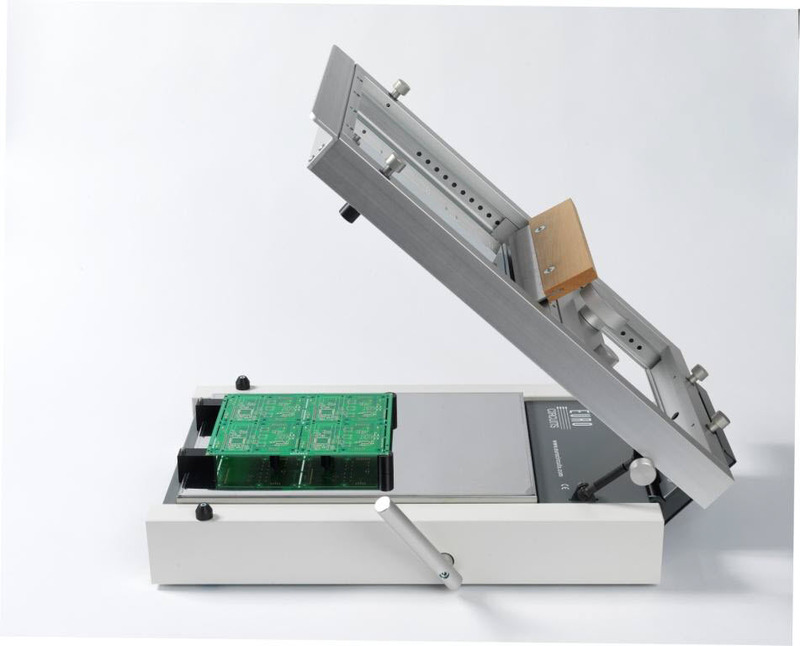 This ensures reliable results for every batch of boards processed. – b-smart GmbH, Sulzberg, Germany. “ITH are the leading worldwide system supplier of bolting technology. With more than 200 patents to our name, the development of new products is crucial to our ongoing success. 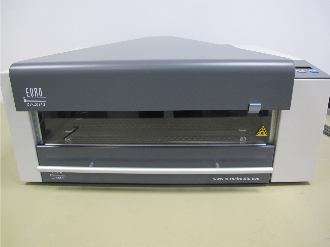 The eC-stencil-mate printer and eC-reflow-mate oven were launched in November 2010. Our customers had told us that they needed high quality reflow for their SMDs, but could not find acceptable equipment at a price suited to prototype and small-batch assembly. Since then the products have become well established in the marketplace with more than 850 units installed in Europe and the rest of the world. Our company mission is to help PCB designers bring their projects to market on time and on budget. 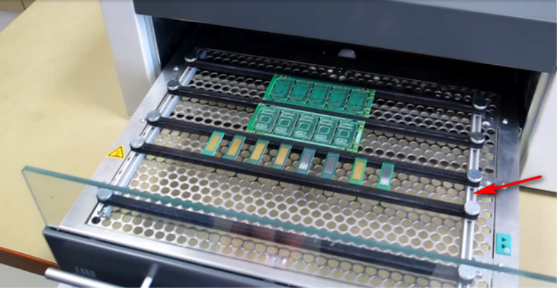 A complete, cost-effective in-house prototype PCB assembly solution cuts out the extra time and costs needed for assembly by external sub-contractors. Over the last 12 – 18 months we have added new accessories and new equipment to make assembly faster, simpler and safer. Faster, simpler and more reliable soldering. eC-reflow-pilot. The latest release has a new and more friendly user interface. A new analysis function allows you to record and check the performance of each zone of the soldering curve during or after a soldering operation. The additional monitoring helps you to get the best performance out of the eC-reflow-mate. 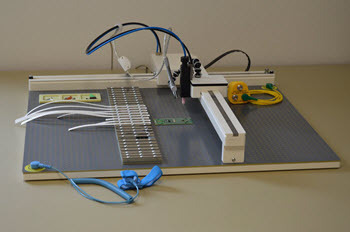 In particular, it makes it faster and easier to set up the soldering profiles for new types of PCB. eC-reflow-mate PCB holder. 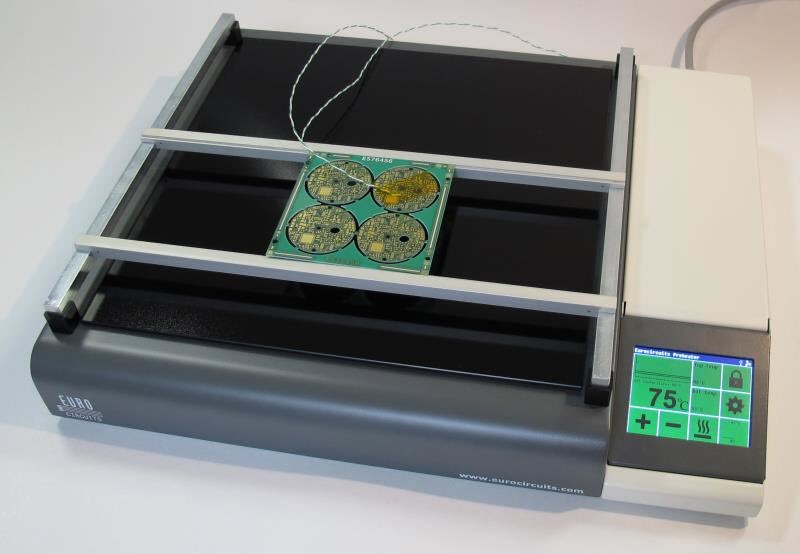 Place several small PCBs in the eC-PCB-holder and reflow them in a single run. eC-solder-paste: professional quality in 140 gr. tubs, minimising waste when reflowing small numbers of prototypes. Our latest “no-clean” formulation offers a 9 month shelf-life in the tub, 24 – 48 hours life on the stencil or PCB and an 8 hour tack-dry time. Feedback shows that the correct use of eC-solder-paste with our stainless steel stencils on eC-stencil-mate can more or less eliminate solder shorts. Customers report that this can save from 5 hours to 3 days depending on job complexity. Full specification. eC-stencil-wipes: highly absorbent lint-free, alcohol-free wipes developed in association with our solder technology partners for cleaning eC-solder-paste off stencils, the eC-stencil-mate, or from misprinted PCBs. eC-stencil-wipes are supplied in easy dispenser tubs. Users report that they extend the life of their stencils and give a much more reliable print when they re-use stencils for second and subsequent batches. Full specification. Soldering fume are hazardous to health if inhaled. For users who do not have existing fume extraction we have developed two accessories for the eC-reflow-mate. eC-reflow-mate-hood. An add-on to our eC-reflow-mate oven V3, the eC-reflow-mate hood ducts away soldering fumes when the oven door opens after reflow. The hood simply clips onto the top of the oven with magnets. Use it with your own extraction system or with the eC-fumecube extraction system. Specification. eC-fumecube. We have selected a compact, high-specification, third-party fume extraction system to complement the eC-reflow-mate and hood. 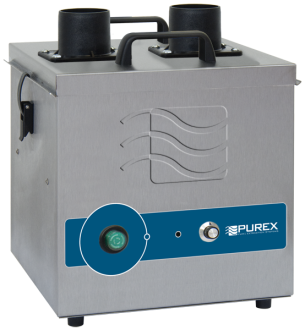 The eC-fumecube is quick and simple to install and quiet in operation. Compact, brushed stainless steel unit. High performance continuous run brushless motors. The eC-fumecube can also be used with an existing hand-soldering station by adding the eC-armkit. Safer and more reliable hand-soldering. eC-pre-heater. Allows you to quickly boost up the temperature of your PCB to allow a smoother and easier hand soldering and de-soldering of critical components without damaging the components or the PCB. User-friendly programming with adjustable temperature profiles, color profiles etc. See the eC-pre-heater in action. The Ledia V5 direct-imaging system, installed in January, is our largest single investment in a single piece of equipment – and is already paying off. Direct imaging has boosted our production capacity in time to handle the fastest growth in orders we have seen in years. See how it works in our technical BLOG. The reliable assembly of new-generation BGAs, QFNs and fine-pitch leaded components demands tighter-toleranced soldermasks. Ledia images finer soldermask dams than conventional phototools. We will use it in conjunction with our forthcoming solder-bridge pre-CAM tool to produce the optimum soldermask solution for your designs. Q1-2015 we served more than 5,500 customers with almost 24,000 orders. Thus we are up 15.8% and 18.5% on the first quarter of 2014. And 2014 was already a record year. We have sponsored student projects across Europe for many years as part of our commitment to foster new generations of electronics designers. See our BLOGS for some recent projects. If you are looking for sponsorship for a student or educational project, contact us at euro@eurocircuits.com.